Used by millions of Men and Women, BOTOX Cosmetic is a simple, non-surgical injection treatment that can temporarily reduce or eliminate many lines and creases, including forehead and down-turned mouth creases, neck bands, frown lines between the brows, and crows’ feet near the eyes. Customized treatments take about 10 minutes-a few tiny injections-and within days there’s a noticeable improvement in those persistent lines and creases. Results can last up to 4 months. Our practice has been performing Botox injections since the mid 1980’s and currently hold a patent to enhance Botulinum toxin treatment effects. We remain among the very busiest and most experienced oculoplastic Botox injectors in the world. As leaders in this field, we have developed, published and taught essential injection techniques. Combined, Dr. Patrinely and Dr. Soparkar have sixty years of Botox injection experience across more than 50 thousand treatments. Our physicians perform all of our Botox treatments themselves at all of our Houston, The Woodlands, Pensacola and Destin office locations. Come see what innovative, individualized approaches we can offer you. How long have the botulinum toxins been around? 2000 Myobloc simultaneously FDA approved for medically indicated use and first available in the U.S.
What is the difference among the botulinum toxins? Which is best? “Naturally” produced, the botulinum toxins are initially created as a very long protein. Processing must occur to the protein (cutting out certain parts and linking others together) before the toxin is active and effective, and this generally happens as soon as it is injected. Dysport is a mixture of processed, partially processed, and unprocessed toxin elements. Since it is already partially processed, it is more rapidly available and actually seems to have a slightly faster (1-2 days) onset than the other toxins. The makers of the other toxins may claim that Dysport is more “dirty,” “less pure” than their products, because the material is not homogeneous. “Naturally” produced, the toxins are bound to “protection proteins” which help keep the toxins from being broken down by other enzymes. However, in medical practice, these “protection proteins” rapidly fall off the toxins even before injection, so they probably serve no useful function. Xeomin advocates might say their toxin is the “most pure” because it contains no “protection proteins.” Yet, there has been no data to indicate that the presence or absence of current levels of “protection proteins” makes any difference to patients or the toxin effect. There are some relatively subtle differences in the toxin proteins, and some people may find one toxin a little more effective for them than another. “Units” are a measure of toxin activity and are determined based upon the toxin effect on mice. Botox and Xeomin are roughly equivalent in their effects on mice and on people. Dysport, however, is roughly 3 times more effective in mice than it is in people, so roughly 3 times as many “units” need to be used to have the same effect in people as Botox or Xeomin. The reason this is problematic, is that if a person calls a physician’s office and asks for the price of toxin per unit (which is the best way to be charged for the toxin), Botox might be $12/unit, whereas Dysport is only $4/unit. The unwary caller may believe the Dysport is much cheaper, but actually roughly 3 times as many units of Dysport need to be used to achieve the same effect as Botox or Xeomin. So really these prices are roughly equivalent. SO WHICH TOXIN IS BEST? Practically speaking, there is probably very little difference among the toxins. If used highly concentrated, Botox probably spreads the least, if you are looking for pin-point treatment accuracy, but in some areas for some indications, spread is better. 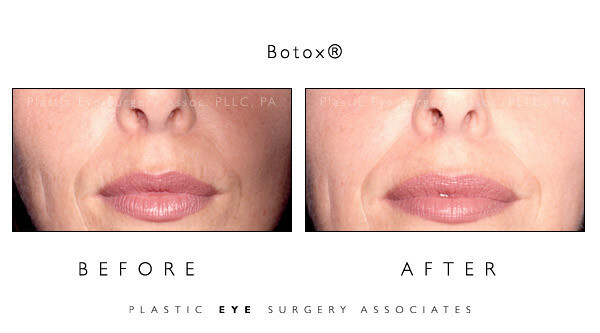 In these cases, diluting the Botox more or using another toxin may be advantageous. Individualized treatment pattern, dosing, and toxin dilution in the hands of an experienced injector is more important than the toxin used.